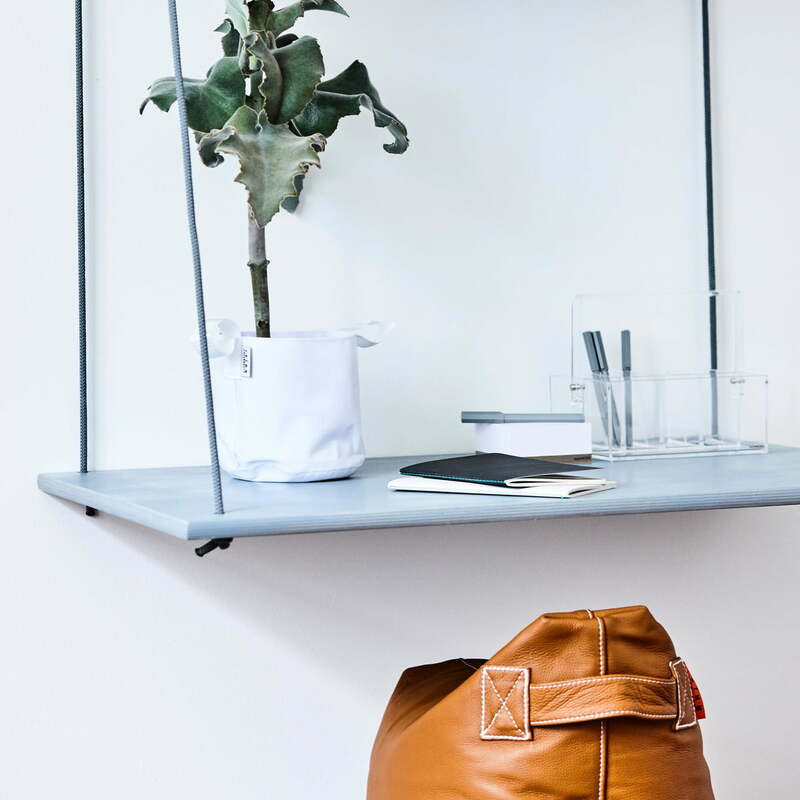 The Hang desk designed by Rikke Gjørlund for Trimm Copenhagen convinces with its minimalist design as well as with its practical properties. The floating table consists of a 90 x 55 cm-large tabletop and a floating shelf higher up for storage. Both elements are connected to each other with cords and fixed to the wall. The ensemble is a floating workstation without legs, that saves space and can be mounted onto any wall. With the help of two fixation points on the wall, the tabletop remains straight as well as stable and can withstand a load of up to 20 kg. When the tabletop is no longer needed, it can simply be folded upwards. 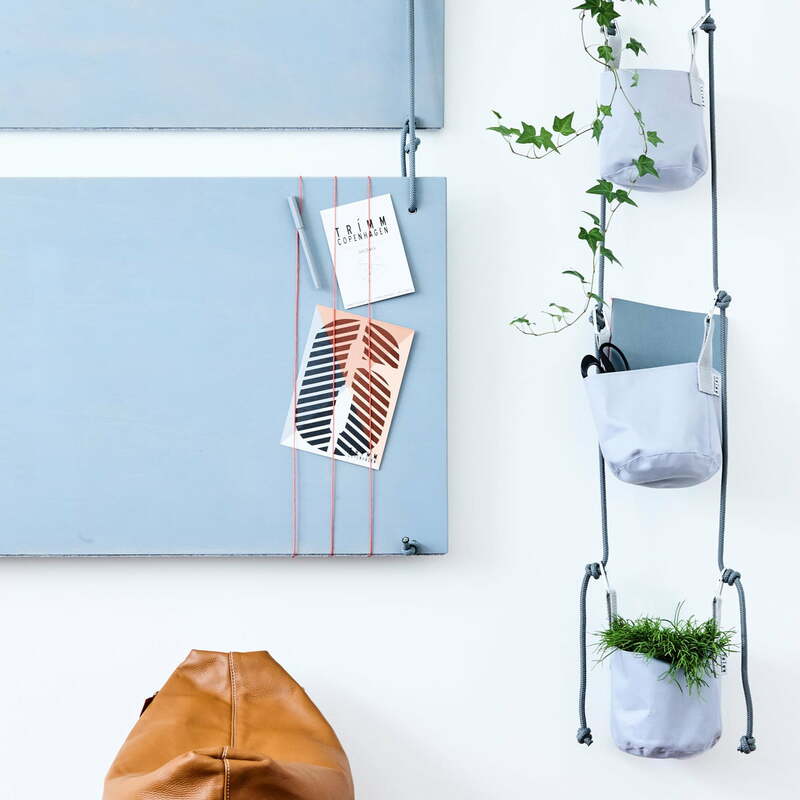 Together with the storage surface, this creates a billboard which, thanks to the elastic bands attached, offers space for postcards, notes or photos. The Hang desk boards are made from birch veneer and are available in white, black and grey. A mounting kit incl. screws and dowels is included. Please keep in mind that the ceiling should be at least 245 cm high in order to mount the tabletop at a reasonable height. 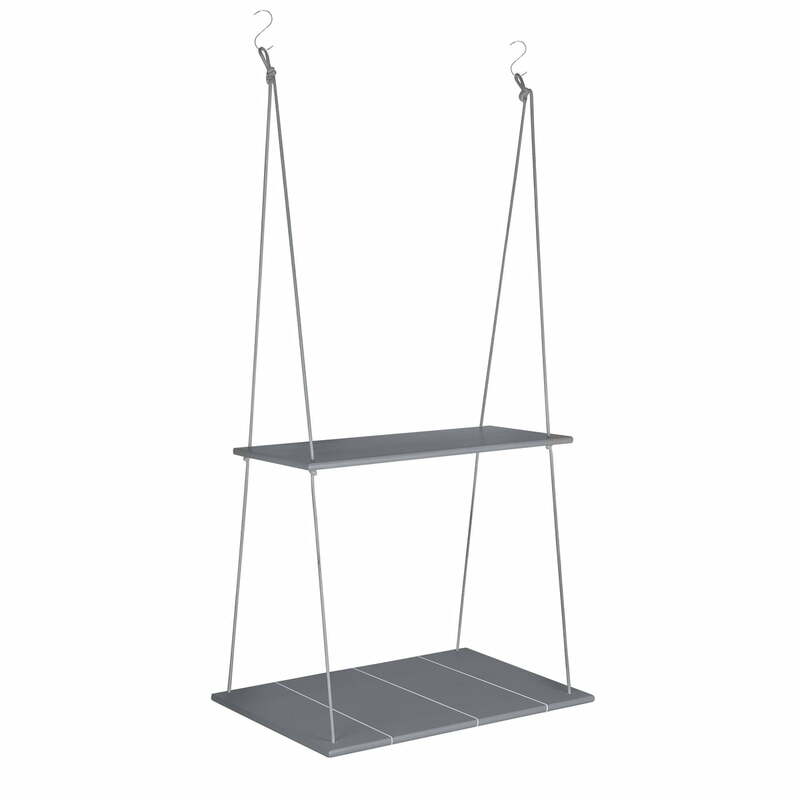 Isolated product image of the Trimm Copenhagen - Hang desk. The mounting kit consists of sturdy cords that introduce a maritime flair that fits into any interior style. Isolated product image of The Trimm Copenhagen - Hang desk seen from the front. Using cords, the table is attached to the wall and takes up very little space in the room. 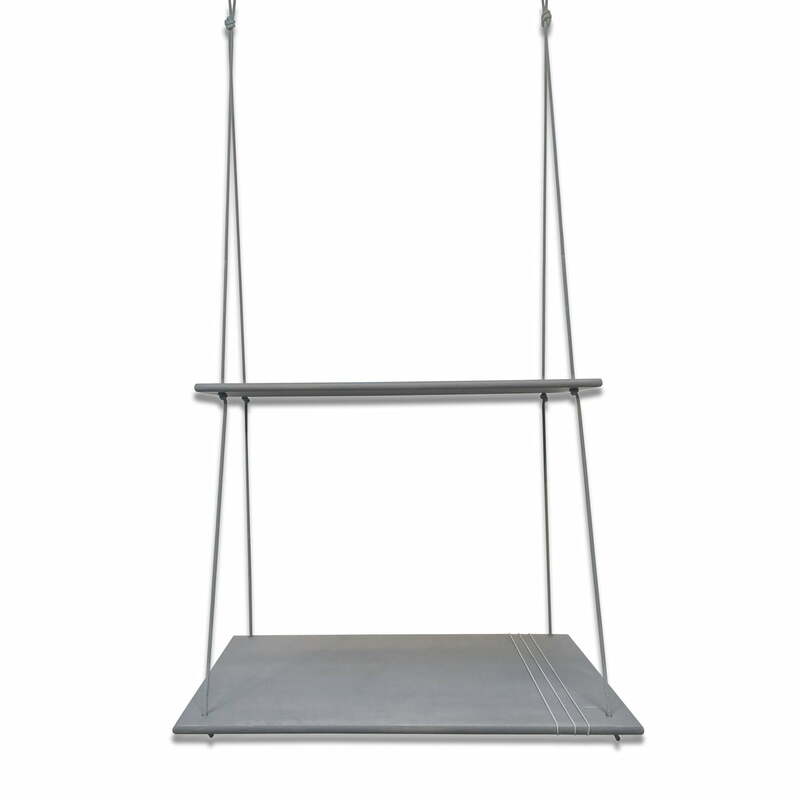 Lifestyle product image of the Trimm Copenhagen - Hang desk. The tabletop is a minimalist workstation complete with an overhead shelf that can serve as a storage surface. 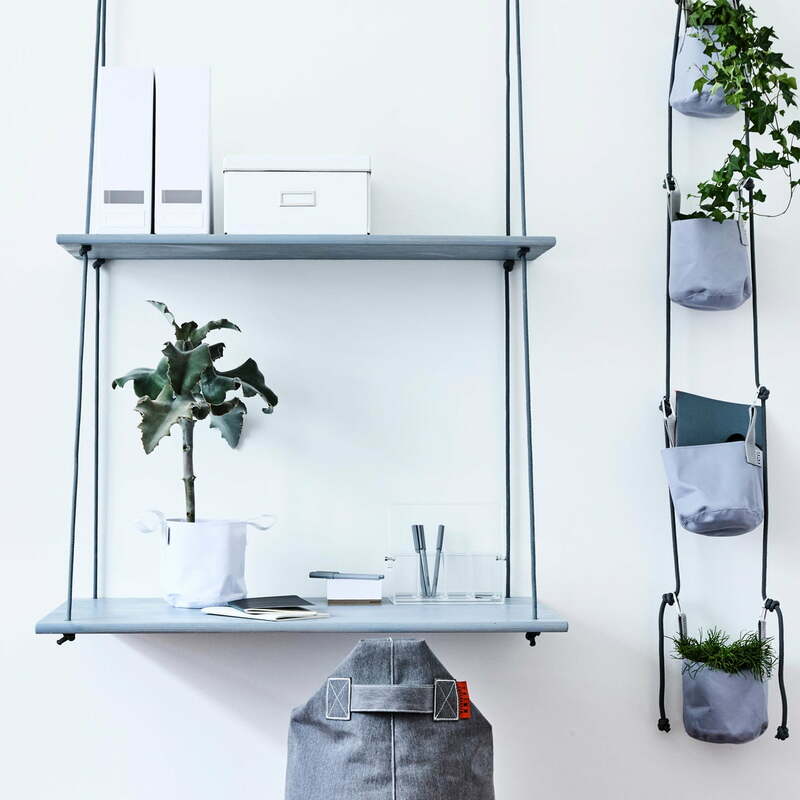 Lifestyle product image of the Trimm Copenhagen - Hang desk. The minimalist table is ideal for small spaces, because it comes without legs and can be folded up if necessary.